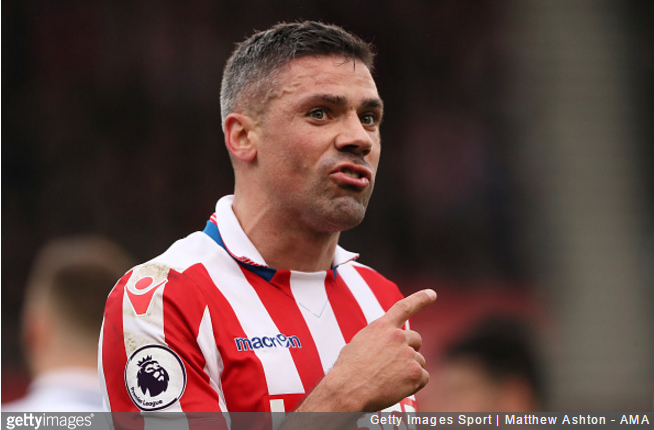 Proving once again that he’s a decent sort, Jon Walters quite literally stopped in his tracks this week to donate money to one of Everton’s most… shall we say “instantly recognisable” fans. Michael Cullen, better known as Speedo Mick, is once again out there traipsing along the highways and byways of England while wearing next to nothing in a bid to raise money for charity. Indeed, Mick managed to raise more than £50,000 for the Woodlands Hospice in Liverpool last year by walking to every single Everton match in his trunks. This time round, he’s schlepped from Buckingham Palace to Anfield in time for tomorrow’s Merseyside Derby to raise £10,000 for the Charlie’s Chance Foundation. Should you wish to donate to Speedo Mick’s crowdfunding campaign, the requisite JustGiving page is here.